50,000 users with specifically designed, easy-to-use software. re-assigning them to staff. For large buildings with multiple doors, the costs for replacing locks can be considerable. 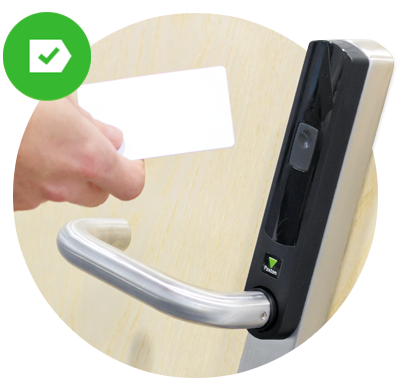 Electronic access control provides the most convenient and cost effective route to securing access to your property, whether it is made up of one building or many. In the most common applications, proximity tokens are issued to staff, each holding specific data that corresponds to that employee. In the event of a lost, damaged or stolen token, it can be barred from the system making them redundant from future use. A new token can then be re-issued there and then for little cost, allowing production to continue as normal. day-to-day perimeter, allowing only authorised personnel to enter. in the absence of personnel. We put you in control of your security. Each door and token is at your fingertips via your computer - restrict tokens, unlock doors and gain access to indepth reports all from one place. Even if your business is spread across multiple buildings they can still all be controlled from one location. We hand-pick our systems from leading manufacturers to ensure they are reliable and future-proof. 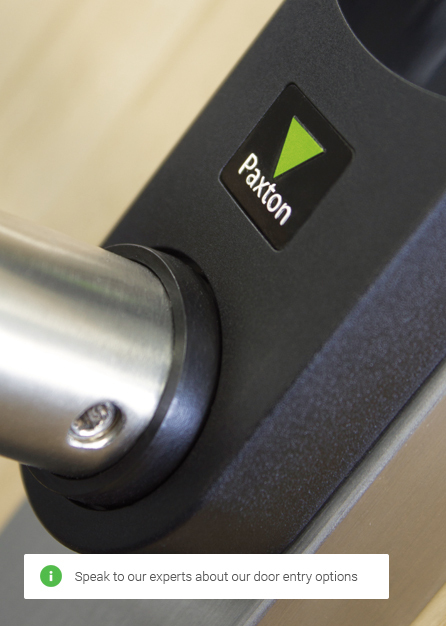 Speak to our team to discuss your access control options.